Game Day Preview: The Kelowna Rockets face the Victoria Royals for the second time this season. These two teams met October 5th in Kelowna with the Royals earning a 4-3 win. The Royals built up a 4-1 lead only to see the Rockets rally with two-third period goals. The Rockets were 1-2-0-1 in four games in Victoria last season. The Rockets make a return visit February 18th and 19th. The Rockets are coming off a 5-4 home ice loss Saturday night to the visiting Tri City Americans. That is now 6 straight losses at Prospera Place this season. This weekend the team plays in Victoria tonight and tomorrow before facing the Vancouver Giants on Sunday. The Rockets return home to face the Swift Current Broncos on Tuesday. Broadcasters Notebook: Head Coach Jason Smith has joined the WHL coaching staff for two games when the Russian Selects face the WHL in the 2018 CIBC Canada/Russia series. Games will be played in Kamloops November 5th and in Vancouver November 6th….The Rockets have parted way with 20 year-old forward Ryan Bowen. 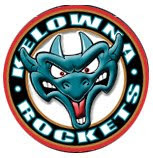 Bowen was pointless in 7 games this season….Jack Cowell’s goal Saturday night was his first in 37 games….Rookie Dillon Wilton has goals in back-to-back games…The Rockets have 926 wins as a franchise since relocating from Tacoma to Kelowna for the 1995-96 season…We’ve got the Cup! 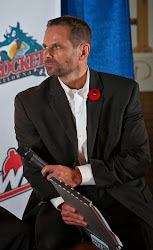 The Rockets were awarded the 2020 Memorial Cup on Wednesday. 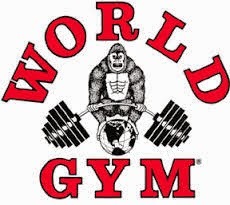 The ten day tournament will take place May 22nd to 31st. It marks the second time in franchise history the team has hosted (2004) and will mark its 6th appearance at the prestigious event. The team has made previous appearances in 2003, 2004, 2005, 2009 and 2015….Five members of the Kelowna Rockets have been named to NHL Central Scouting’s “Players to watch’ list. Forward Nolan Foote is an ‘A’ prospect, meaning a first round candidate. Kaedan Korczak is a ‘B’ prospect which means he is projected to be selected in the second or third round. Roman Basran, Kyle Topping and Lassi Thomson are ‘C’ prospect, which means they could be taken in the third to the seventh round…. The Rockets have failed to open the scoring in 9 of the 11 games this season….The Rockets have trailed going onto the third period in 9 of the 11 games. Let’s Make a Deal: The Rockets have been busy. The team acquired 20 year-old defenceman Dalton Galley October 10, 2018 from the Medicine Hat Tigers for a 10th round bantam pick. Gally has played two full seasons with the Tigers and hails from Eagle River, Alaska. In a separate deal, the hockey club acquired 18 year-old forward Michael Farrin October 11th from the Saskatoon Blades for a third round WHL bantam pick. The Rockets also made a trade with the Victoria Royals Saturday September 29th. The team acquired 20 year-old Lane Zablocki for a conditional 7th round and conditional 4th round bantam draft pick. Zablocki is a third round NHL draft pick of the Detroit Red Wings (2017 – unsigned).